Android Wear has now switched on LTE compatibility meaning you can leave your phone at home when you go out for a run or pop to the shops - problem is, you need the right watch. 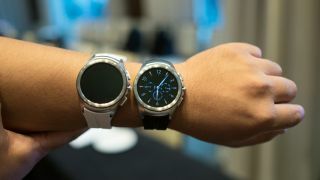 At the moment it's only for the LG Watch Urbane second edition – all other smartwatches are still restricted to Bluetooth and Wi-Fi connections. Your watch will share a phone number with your phone, but it won't need to be nearby to the device. The LG Watch Urbane second edition was prepared for the update already - unlike every other Wear smartwatch - because it has an LTE radio inside. Hopefully future smartwatches will come with an LTE radio ready to work out of the box. Availability for the LG Watch Urbane second edition is going to be a slow roll out - first up is the US and Korea by the end of November. The UK and Australia will see it in the coming months. We've reached out to LG to find out when, but so far there's been no response. Smartwatches will soon become a much more attractive proposition if we can leave our phones at home and do our daily business from our wrists instead. But for that to happen, we need to see more devices from manufacturers - and preferably as soon as possible.